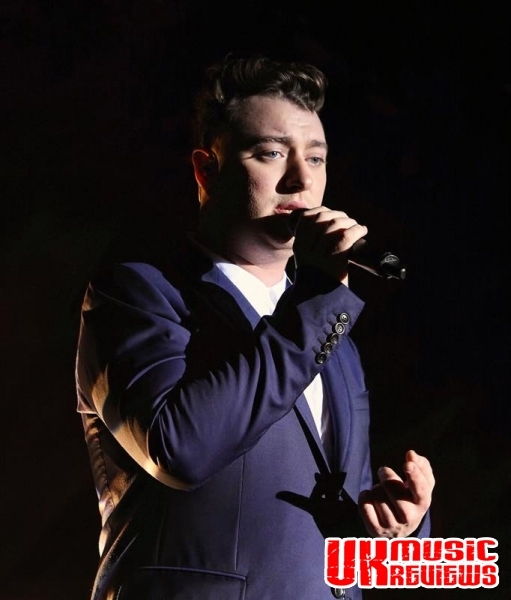 Sam Smith performs his In The Lonely Hour Tour at Rock City Nottingham on Tuesday 28th October 2014. 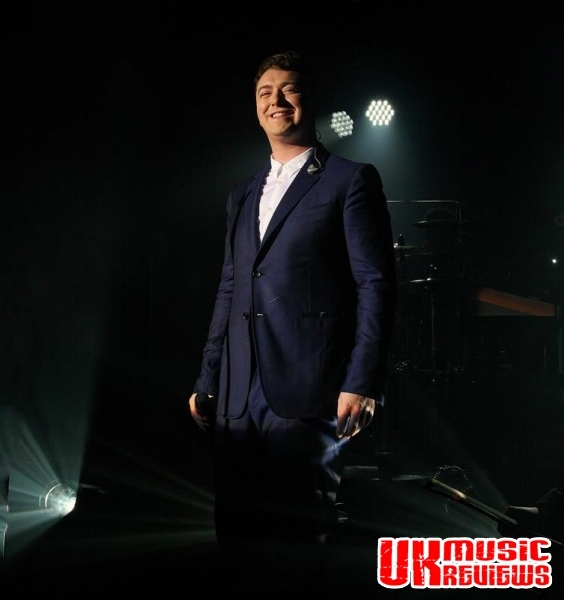 This humble London sensation looked a picture of shock and amazement as he walked out to a packed house of adoring fans at Rock City, Nottingham, last night. 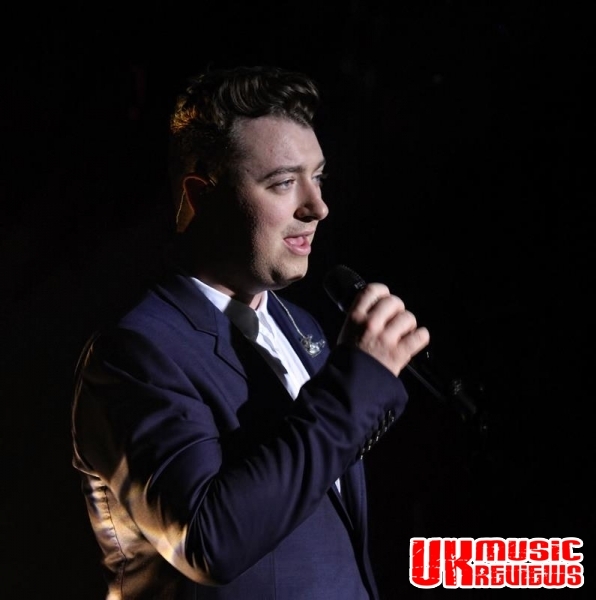 Many in this audience would not have given him a second glance had he walked past them in the street twelve months ago, but now, after having been voted BBC’s Sound of 2014, he is one of the biggest names in the industry. Whilst tonight, his soft nature could so easily have been confused for shyness, especially considering that his public persona has remained firmly in the back seat until now, it was not so as he reassuringly commanded and steered the show with quiet confidence. His onstage charisma has grown beyond recognition compared to his last visit to Rock City some eighteen months ago. His accompanying five piece band, in addition to his three backing singers, brought his debut album’s rich production to life. Actually, the transfer to the stage made the pop tracks quite tangible, peppered with a little humanity that felt a tad outsourced in certain areas of the album. 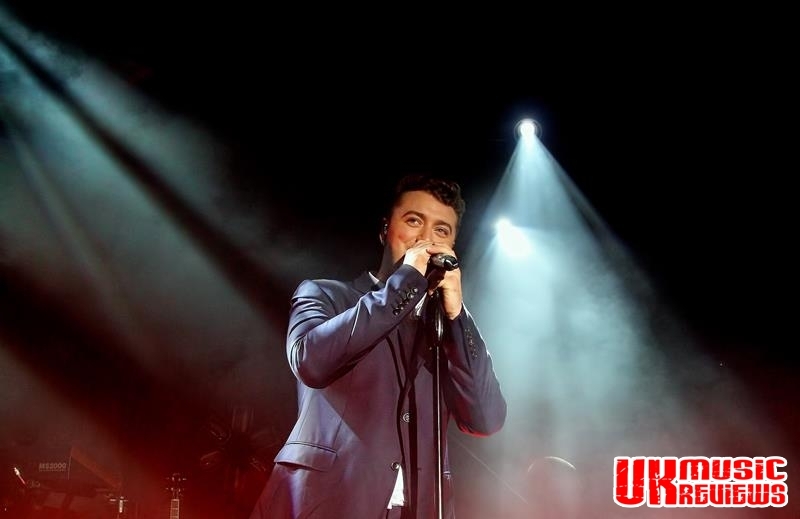 During I’m Not The Only One his fans, many of whom had queued outside the venue for hours just to get to the front, simply screamed in delight as they attempted to match his pitch perfect vocals. But it is Nirvana, Leave Your Lover and Lay Me Down’s heartache which Smith’s voice is best suited for. Money On My Mind is one of the biggest hits from the album and was always going to thrill the crowd, but his stripped back cover of Whitney Houston’s How Will I Know showed the company his vocal talent can comfortably be compared too. 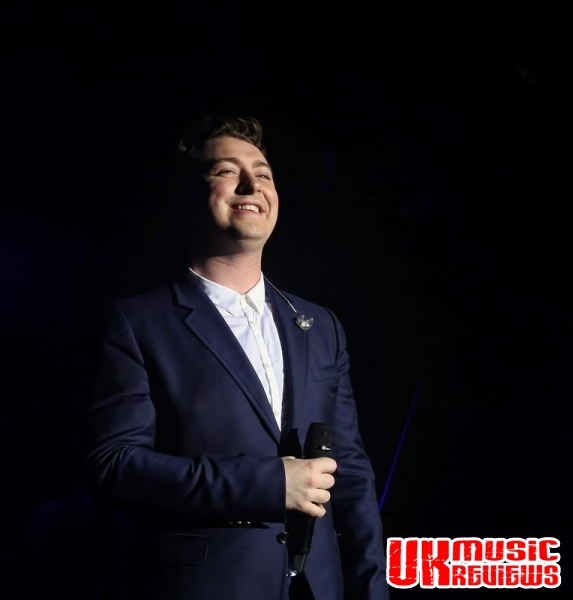 But Smith can also do upbeat just as well in Restart and the number one Naughty Boy collaboration, La, La, La, which had the crowd going positively wild with appreciation, and brought the house down on a thoroughly impressive night. After the briefest of stage leaves, the encore was more vocal focused, with a heart wrenching Latch and Make It To Me, before finishing with a gospel style, Stay With Me. Before leaving the stage he told this audience how pleased he was to be back in Nottingham and especially so because his sister is a student here. On tonight’s performance I am sure that he would be welcomed back anytime. It is easy to be cynical when acts are declared the next big thing, with the music industry’s insistence and media coverage culminating in a self-fulfilling prophecy. 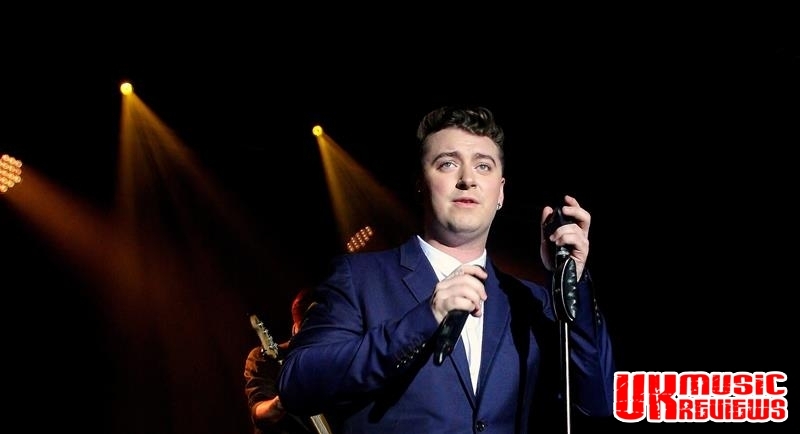 But in the case of Sam Smith, his talent is too great to be written off as mere hype. With the Capital FM Arena just a short walk from Rock City, it will not be long before he is regaling this night to the audience when he undoubtedly makes the step up to this city’s larger venue.